For any social engineer / dox specialist, this is the ultimate search tool. This third-party tool combs through your own timeline or through the public one and puts it in an easy-to-understand interface. 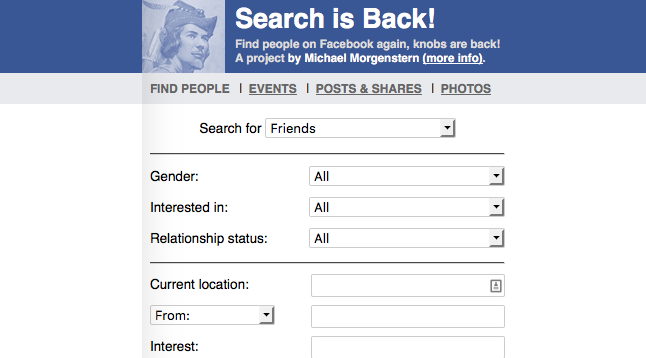 Head over to searchisback and find the people you are looking for. The broad categories are people, events, posts and shares, and photos, each with further filters. Within “people”, you have further parameters like gender, interests, relationships, location, company, school, and more. Type your keyword, hit search, and it takes you to Facebook to show the relevant results.